Mechanical engineers work with different types of machines. If you are looking for a telecommute mechanical engineering job, you can find opportunities online and offline. 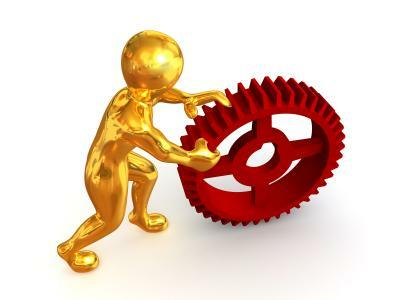 Mechanical engineers work with different types of machines. There are many different kinds of career paths available to people with this type of education. The steps involved in finding a telecommute mechanical engineer job are very similar to finding an on-site position. You have a couple of choices: you can look for a new job that allows telecommuting (either full time or partial), or you can approach your current employer with a proposal which would allow you to spend part or all of your work week off site. Check the job listing carefully before you apply to see whether telecommuting is an option for the position. In a situation where you are very interested in a particular career opportunity but want or need to work off site, you can apply anyway but state in your cover letter and on your resume that you are interested in a job you can perform from your home office. The employer may not have considered hiring someone who will work off site, but may be open to this type of work arrangement. Another option for you if you are looking for a telecommute mechanical engineer job is to make a list of companies you are interested in working for and visit each one's web site. Often, a company will post available positions on its web site; but if you don't see an opening and are interested in working there, apply anyway. Working with an employment agency is another good choice when you are looking for a job. You can register online or call to set up an appointment to discuss what kind of job you are looking for. If you are only interested in working in a position where telecommuting (at least part of the time) is an option, then let the agency know. The recruiter will make note of this fact and only contact you when a job that fits your criteria come up through one of their clients. You may be able to negotiate a telecommute arrangement with your current employer. When you ask your supervisor to meet with you to discuss changing the terms of your employment, be prepared to answer his or her questions about how the company can benefit from this way of doing things. It's a good idea to ask for a partial telecommute arrangement first. If working from home for one or two days a week is a good fit for both parties, then your employer may be open to having you work from home on a full-time basis. There are many different kinds of work that a mechanical engineer can do. If you are creative about your job search strategies, you will be able to find a telecommute mechanical engineer job.